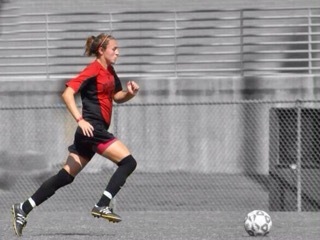 Jessica Fassnidge, a soccer player who graduated from Flagler College in Florida, will become our first student-athlete to attend UCAM Murcia in Spain. Born in England, Jessica first began her college soccer career at Eastern Florida State College and helped the team reach the NJCAA national championship final. Jessica then transferred to Flagler College and lead the team in total minutes played over the two seasons as a dominating defender. UCAM Murcia, is located in the south east of Spain and only 25 minutes from the stunning Mediterranean beaches. It is home to excellent sporting facilities; including professional men’s basketball and soccer teams, 21 university level sports clubs and 80 current Olympians. In Spain UCAM Murcia is known as the “University of Sports”. Jessica will be studying a Masters in High Performance Sports: Strength & Conditioning, as well as playing a good level of women’s soccer.